Just how deeply is Steve Jobs intertwined with the existence and vitality of Apple? 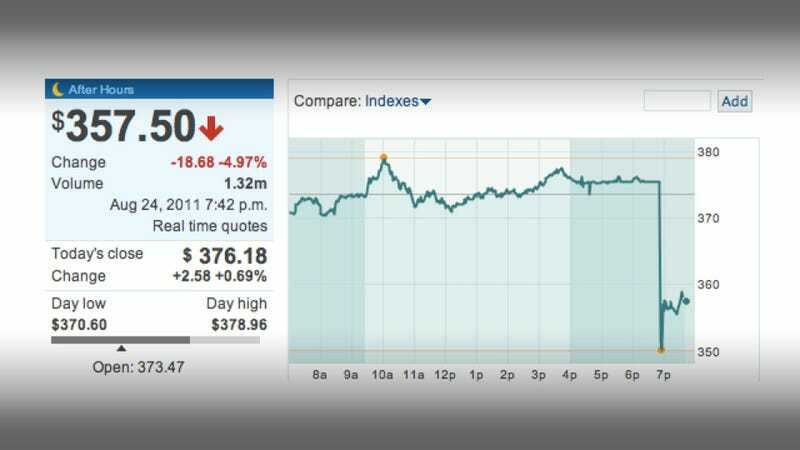 Every time concerns over the company's former-CEO have risen, Apple's stock took an appreciable tumble. Today's resignation news appears to be no different. Could Apple Be the World&apos;s Most Valuable Company Without Steve Jobs? After each dip, AAPL's rebounded, climbing to today's enormous price. But that price is already slipping in after hours trading as I write this. We'll see if there's a rebound. AAPL has lost $18 billion in market capitalization since the Jobs news broke, about the same as the GDP of Paraguay.